I don't understand how bananas are one of my favorite fruits, yet at least 3 or 4 of them go bad with each bunch we buy. The only good news in this problem, is when you get to make banana bread. I had some chocolate chips left from making hot cocoa and decided to kick it up a notch. 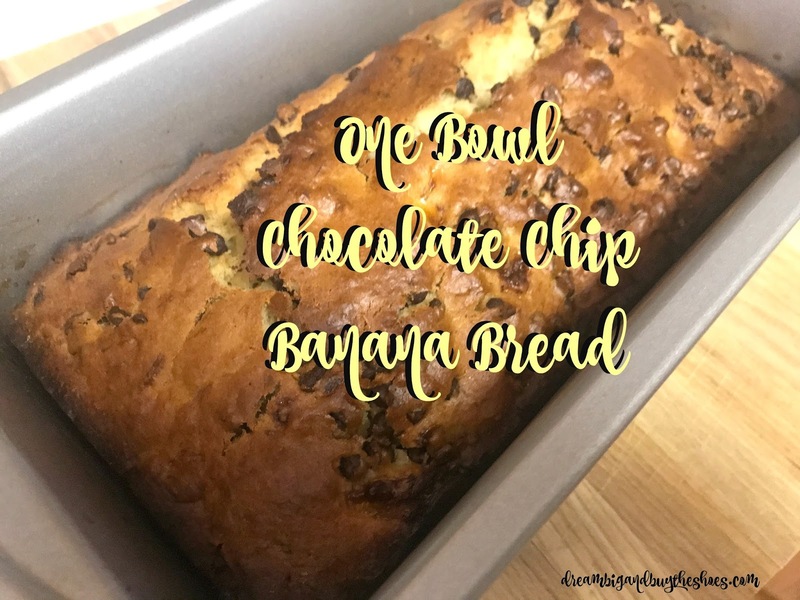 This one bowl chocolate chip is such an easy (you know how I love that when it comes to recipes) bake. I wish I was better at food photography to show how well this turned out, but maybe that will come this year ;) Maybe being the key word. This bread is grandparents approved- I've made a tradition this past year of making them something as part of their birthday and Father's Day and Mother's day gifts. They love when I bake and cook, and it's fun to do- so this was part of my grandmother's birthday present. Fun fact- both of my grandmother's shared a birthday. One is in heaven now, but very cool for them and me. 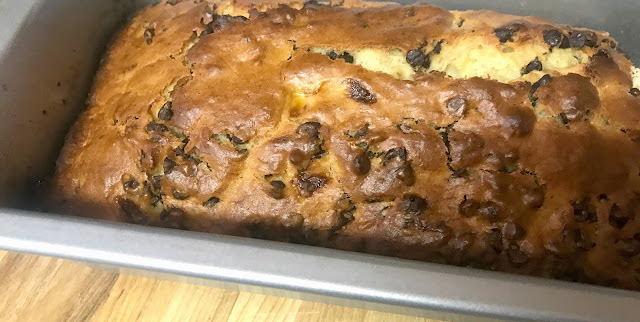 While it may not be the best for your diet going in to the new year...it is delicious, and something great if you're having guests or for a family gathering.